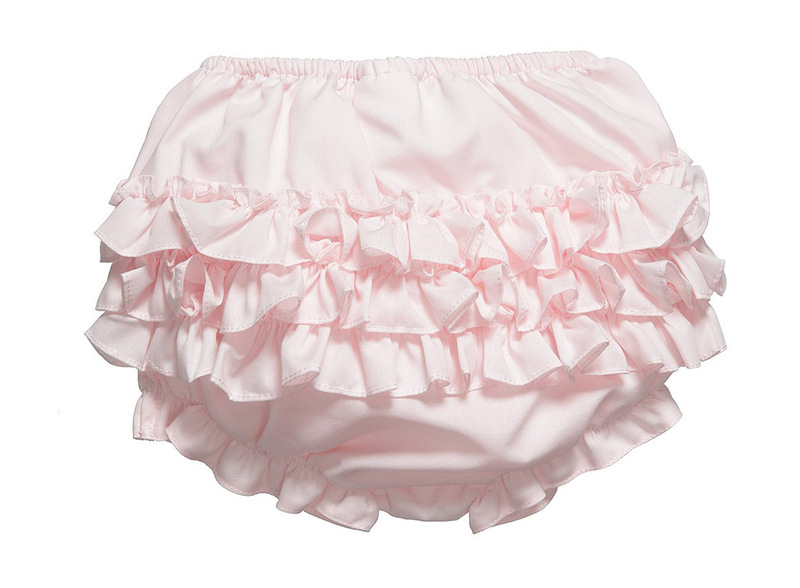 Is there anything cuter than ruffles on your little one's bottom? This adorable little pink diaper cover by Sarah Louise features elasticized leg openings edged with ruffles. The back has a triple row of ruffles to peek out when your little one bends over. 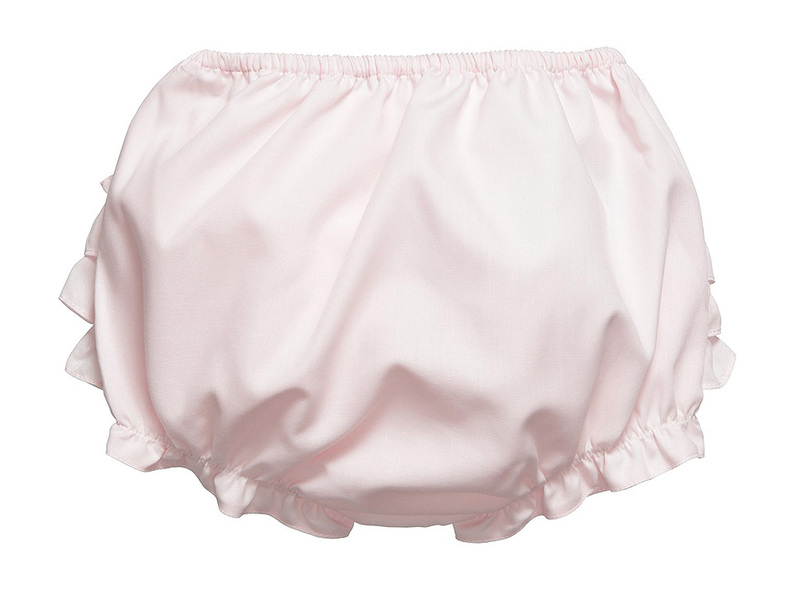 Note: This sweet little diaper cover is also available in blue, yellow, white and ivory. See below.